In what is a notoriously fickle profession, actor Norman Painting not only stayed in work throughout his career but did so mainly playing just one character. As Phil Archer, he became the longest-serving cast member of BBC radio series The Archers, having joined for the very first pilot episode in 1950. 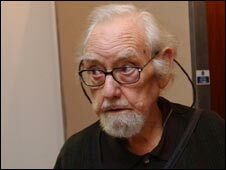 Norman Painting was born on 23 April 1924 in Leamington Spa, Warwickshire, the son of a railway signalman. Despite leaving school at 15 he studied at the University of Birmingham where he produced and played the lead role in an undergraduate production of King Lear. He graduated from Birmingham with a first class honours degree in English before going on to Christ Church Oxford on a research scholarship. As well as his research, and some teaching, he also played a leading role in university drama as an actor and director. 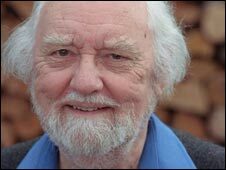 By coincidence, he took part in another production of King Lear with a distinguished cast including Sir Peter Parker in the title role, Shirley Catlin - now Baroness Williams - Robert Robinson, John Schlesinger and Jack May (who later played Nelson Gabriel in The Archers). After Oxford, he had a number of freelance jobs as a writer, interviewer and broadcaster with the BBC before being offered the part of Phil Archer. The Archers was originally conceived after the government asked the BBC to set up a vehicle for broadcasting farming news and advice, including urging farmers to grow more food at a time of post-war rationing. The series was launched on Whit Monday in 1950 with the pilot episodes broadcast only in the Midlands, and went national in January 1951 on what was then the BBC Light Programme. Painting's character, Phil Archer, was the son of Doris and Dan who ran the family farm, Brookfield. An article he wrote in 2000 for the Sunday Telegraph made it clear that he saw Phil Archer as a short term source of employment. "At the end of those first three months I resigned three times in one week. After all, I wanted to be a writer, not a soap-opera actor. I finally agreed to stay but when I heard Godfrey Baseley [the Archers creator] shouting after me, 'silly young fool, you've got a job here for 10 years if you want it', I remember thinking, that man lives in a fantasy world." He was at the centre of what is still one of the most controversial episodes of The Archers when his new wife, Grace, was killed in a fire while trying to rescue Christine's horse, Midnight, from the stables at Grey Gables. The episode was broadcast on 22 September 1955, the same night that ITV launched the UK's first ever commercial television service. It has been a matter of debate ever since as to whether the BBC deliberately timed the incident to undermine the launch of the corporation's commercial rival. In 1966, he began writing scripts for the series under the pen name Bruno Milna, and was responsible for more than 1,100 episodes, receiving a Writer's Guild Award in 1967. 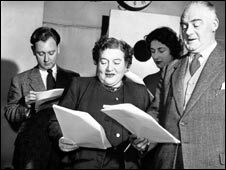 Away from Ambridge, Painting continued to write and adapt a series of dramas and documentaries for radio. In 1975 he began a five year stint as chairman of The Garden Game, a quiz which ran on the BBC in the East Midlands. 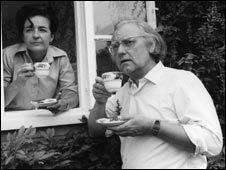 In the same year he published his book, Forever Ambridge, his own account of life in The Archers, which was updated in 1980 for the programme's 30th anniversary. Like many members of the cast he found time to work away from the Archers studio - notably in a number of pantomime and variety show appearances. In 1984 he played the King in Jack and the Beanstalk at Porthcawl, returning to the role two years later at the Arts Centre, Horsham. In 1988 and 1989 he spent two seasons with Russ Abbot at the Birmingham Hippodrome and the Mayflower Theatre, Southampton. Before that, he had played Gepetto in Pinocchio at the Playhouse, Bournemouth, and was the Baron in Cinderella at the Arts Theatre, Cambridge. He also took to the stage in more serious productions, notably David Storey's The Contractor at the Birmingham Rep with Jack Smethurst and Paul Henry. Given the high profile of The Archers, many of the cast have been active in charity work and Painting was no exception. Many of his own efforts in this area were centred around his home county of Warwickshire and, in particular, rural interests. He took special pride in his role as vice-president of the Tree Council, where he was instrumental in finding the site for the Shakespeare Tree Garden at Stratford-upon-Avon. With attention focusing on increasing incidences of depression and high suicide rates among farmers, his Radio 4 appeal in 2000 for farmers and their families raised £40,000. Painting was diagnosed with bladder cancer in 2000 but did not allow it to stop him taking part in the show. He once wrote "People are always asking me, 'don't you get bored with it'? But although the programme goes out almost daily, we only have to spend six days a month recording it. The other three weeks a month I have spent on my satisfying, if undistinguished, career writing radio plays, features, adaptations and children's plays." "Although to our audience, I have been Phil Archer for the majority of my adult life, my Archers salary always went down on my tax returns as incidental earnings."